Choice of camping or accommodation. Depart Redcliffe or Brisbane on this fully guided off-road adventure, and eco-experience on Moreton Island. Travel across Moreton Bay Marine Park on the luxury Sea Ferry. We take time to travel the west coast of Moreton Island. Spot dolphins, fish and sometimes whales, dugong and turtles. 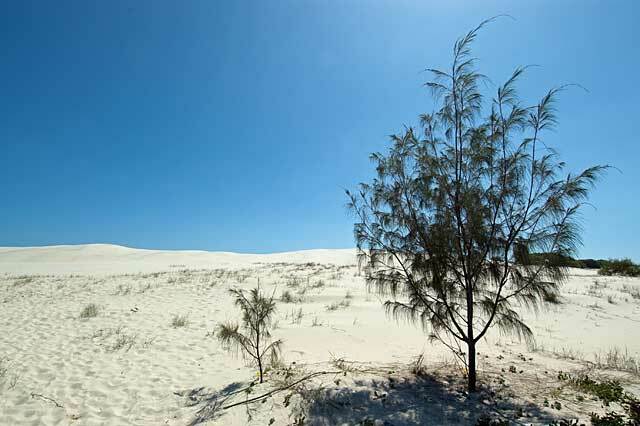 Arrive Moreton Island's west coast and Sandy Beach - the world's second largest sand island. The ferry arrives beside the famous Bulwer Shipwreck, Moreton Island National Park. A great morning activity is sand boarding. Arrive the famous Desert sandhills for Sand board Action. Spend the morning on the slopes, fully guided with all equipment supplied. This is great fun, both gentle and steep sand dunes for all ages. We offer both lie down and stand up options. Depart the beach via the lakes, beautiful wildflowers and bird life to remote surf beach. Take a short coastal forest walk to the sand filtered fresh waters of Blue Lagoon (window lake). Relax, swim, photo, snorkel. This is your great campsite for the next couple of days. 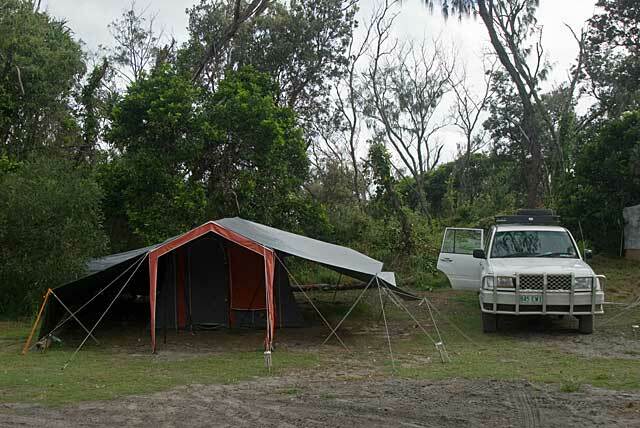 The campsite has undercover areas, 1, 2, 3 and 4 person tents, close to surf beach, lake and facilities, Eco Campfire. Enjoy a fresh picnic lunch in nature's paradise overlooking Golden Beach. Drive to aboriginal midden site and ancient fish trap and on to wild Cape Moreton lighthouse and breathtaking views to Flinders Reef. Great land based whale watching, dolphins, turtles and more. Explore Honeymoon Bay Beach and Champagne Pools. Spend the afternoon enjoy the beaches, and lagoons, with great walks to First Bay, North Point, Camp grounds, Lighthouse, Yellow Patch and fresh water lagoons. Settle into your campsite or beach cabin. Enjoy entree and BBQ dinner and cold drinks beside the campfire. After tea, try moonlight beach walk or night swim. Start with a tropical breakfast overlooking beach. Take time for a beach walk or hike. Enjoy the freshwater creeks, surf beach views or a swim at Blue Lagoon. Take a hike to Lake Honeyeater. After breakfast travel the beach to Mount Tempest - the world's largest sand dune - great views to Brisbane, Redcliffe, North Stradbroke and Redlands. Instead of hiking some groups can choose to relax at Blue Lagoon. After the morning activities enjoy a lunch with cold drinks, fresh breads and fruits and cold meats. The afternoon is spent on Moreton Island west coast. Take time for a marine search after lunch. Spot dolphins, turtles, fish, stingray and sometime whales. Or check out the West coasts wrecks of Bulwer (famous for a lack of people), or Tangalooma shipwrecks. Snorkel among tropical fish and look for dugong, dolphin and turtle before a quick walk. Tangalooma wrecks lookout or beach walks. Board the luxury ferry with sunset over the Bay. Day 1 - Picnic Lunch at Blue Lagoon, Cold drinks, cold meats. fresh fruits, cakes and bread rolls. afternoon tea, Dinner and cold drinks. Departs Redcliffe Jetty 7am - return 7pm.